Retired. Avid kayaker fisherman. Lives in northwest Arkansas. Pro Staff positions with, Tear Em Up Fishing, Rusty Nail Woodworks, Jackson Kayak, Ozark Mountain Trading Company, Arkee Rods, Everett Chevrolet, Yak Attack, Zeko Shoes, Golden’s Baits, Orion Coolers. Participates in many events to promote kayak bass fishing for all, whether competitively or just for fun. 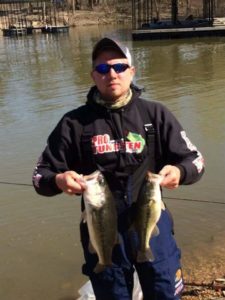 Born and raised in the fishing arena, Jason Cossey has proven himself to have learned his lessons well. 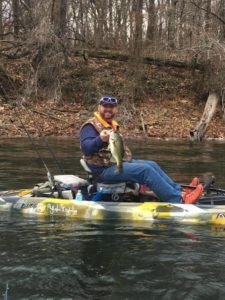 With TWO State Kayak Bass Fishing Championships (2015, 2016) under his belt, Jason has the drive and determination to make kayak bass fishing one of the most popular up and coming water sports in the world. 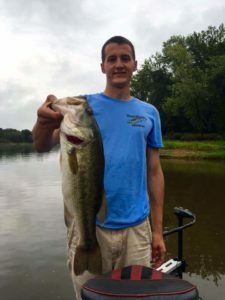 He is also a representative for many business interests connected with the sport, including being a pro-staff member for and lead technician for Yaklights, avid user and promoter for Feel Free Kayaks and Arkie Rods, and promoter and salesman for Arkansas Outdoor Outfitters. Jason is also affiliated with Heroes on the Water and Pink Fishing, organizations to help respect and honor those who fight for our freedoms and those who fight for a healthy life. 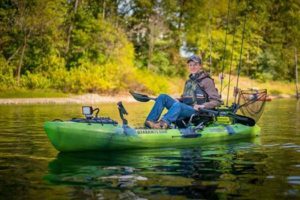 Knowledge and experience are the name of the game in this exciting new sport of kayak bass fishing! 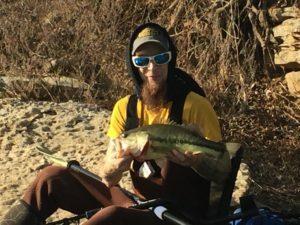 New to Kayak tournament fishing in 2015-2016 David fished two tournament trails his first year and averaged a top 10 finish throughout the entire season,Fishing both the Razoryak tournament trail and Riverbassin.With his best finish coming in a team online tournament which they took 2nd place in. 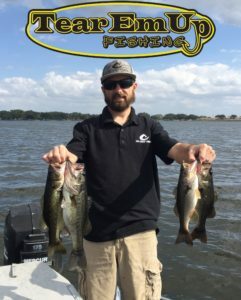 Originally from California where he fished both saltwater and fresh David then moved to arkansas when he was 17 and focused strictly on bass fishing, And has never looked back.Hes a husband and father of four with big plans for his 2nd year tournament fishing in 2017. 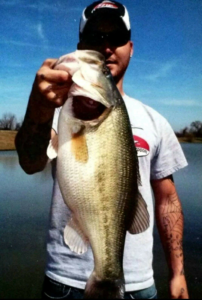 24 years old, Tyler Boyet has been fishing since he could hold a rod and a reel in his hand. He started fishing in small club tournaments before making the jump to fishing the BFL. He Love's learning new fishing techniques and sharing the new techniques with other fishermen. 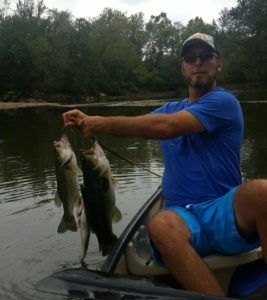 Michael Acord grew up in Oklahoma river fishing for catfish, moved to Arkansas in 2000 and started river fishing for Bass. Started his first kayak-bass tournament in a canoe. Favorite bait is KJS Custom Lure K-Stick Texas Rigged. 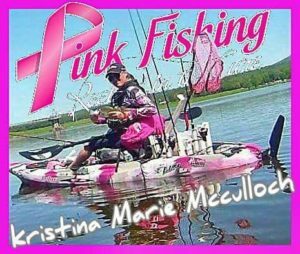 Highly dedicated angler and outdoors man, competes in several circuits across the United States all while highly passionate about spreading Breast Cancer Awareness on the waterways, recently awarded Pink Fishing 2016 Member of the Year! Hello, my name is Chris Conners and I am fifteen years old. I first started fishing the river with my uncle when I was five. Ever since that day I have had a burning passion for fishing and the lifestyle that comes along with it. When I started tournament fishing, I competed in power boat competitions, and although I was successful, I felt as if something was missing. The day I stepped foot in a kayak I realized that was where I belonged. As I have continued my career I have been fortunate enough to be sponsored by Arkee Rods and Tear Em Up Fishing and also to be a member of the Pro Team at Ozark Mountain Trading Company. Now I push myself daily to not only become a better fisherman, but to be an influential ambassador helping to spread the word about our great sport! Alex is from Winter Haven, Florida and his home lake is the South Chain Of Lakes. 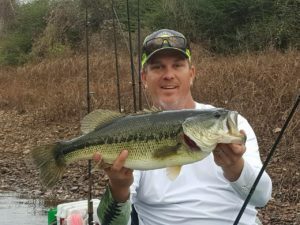 He grew up fishing ponds and creeks at the age of 6, and now a local Tournament Angler in the state of Florida. He has 3 boys: Joseph, Kayden and Brycen who are already learning the ropes of bass fishing with him. He is also the President of the Bass Assassin's of Polk County a local bass club. He started tournament fishing 4 years ago as an Angler and looking to fish the Southern Opens on the Co Angler side. Sponsored by Tear Em Up Fishing, Cal Coast Fishing, Predator Tackle Fishing, TRC Rod Covers, Fins Fishing, Ardent, Costal Angler Magazine, and Undercover Sportsman. 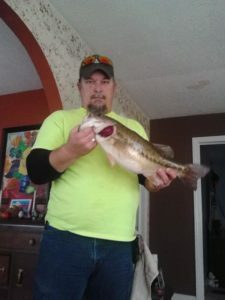 Pro Staff positions with Tear Em Up Fishing and Rusty Nail Woodworks I am from Hartselle, Alabama, live in Arkansas now. I joined the Air Force five years ago. I am a proud member of Hooked on Heroes where we take veterans on fishing trips. I am not too picky on where I fish as long as I can fish. Passionate kayak fisherman. Pro Staff positions with, Tear Em Up Fishing, Pelican Kayaks, Arkee Rods, Ez’s Lures, Helena Pepper Company, Dat’s Good, Yak Lights, Boxer Custom Baits, Yak Daddy, Lazyman Hooks, Seadek Highly involved with social media, Facebook, Twitter and Instagram. He will be fishing the, KBF Trail, KBS Trail, Coosa River Trail, N.A.K.A. Trail and the Iron City Kayak Trail. I had fished big boat tournaments for several years, and then began canoeing about 12 years ago. That led to getting a kayak, and fishing kayak tournaments 2 years ago. 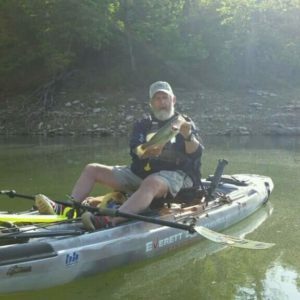 Wish I would have discovered kayak bass fishing a long time ago!